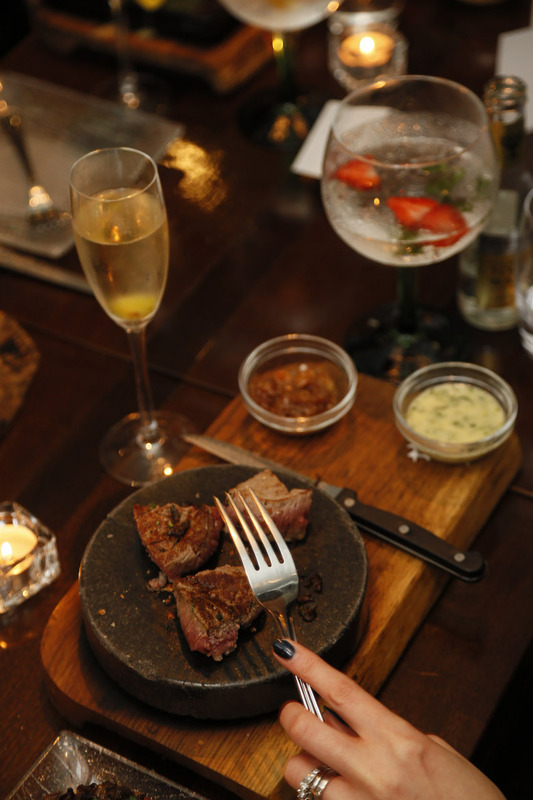 When you receive an invite from Diageo Reserve to an ‘Exclusive Christmas Cocktail Evening‘ in the private dining room at the Rustic Stone restaurant in Dublin, where you are promised an interactive cocktail experience that includes a personalised cocktail, demonstrations from World Class Cocktail Makers and food to compliment your cocktail experience, you RSVP immediately (before they change their mind) and mark it in your diary or on your calendar with a big happy smiley face beside it. I was really looking forward to the evening and even more so when I received an email asking me questions about my preferred tastes when it comes to food and drink. You see when Diageo Reserve state that you’ll receive a personalised cocktail, they don’t mean a Cosmo with a little extra Vodka. They mean a personalised cocktail based entirely on your tastes, and how else can you do that without getting a little personal. 1. What is your spirit of choice? Casper because he's friendly... ha! Well this is a hard one because my first love was whiskey but I've been quite partial to gin for some time now ... the resurgence of whiskey and gin distilleries in Ireland makes it an exciting time to love both ... I'll choose whiskey because of the depths of flavours available. 2. What style of food are you passionate about? I'm passionate about fresh produce. Although a big fan of local produce and supporting local farmers and artisans I know that some ingredients can't be sourced locally so in this case I'm more than happy to know that the ingredients I eat are bought freshly (or frozen) and fairly (fair-trade). Overall I'm passionate about knowing where my food comes from and what I'm eating - I love to be able to dissect my dish at a glance - I'm not a fan of dishes covered in sauce - I prefer to have my sauce on the side so that I can see what I'm being served. I hope that makes sense. 4. Where in the world are your favourite flavours from? I've been lucky enough to have travelled to the four corners of the world but the place that blew me away the most was India. Their use of spice and the flavours they create are amazing. I lived in South Korea for a year and a half. I have a big soft spot for Korean Food. 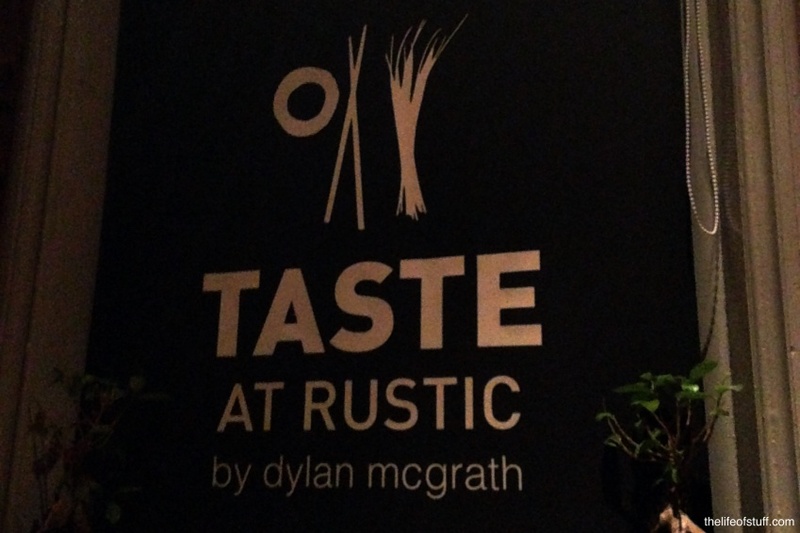 The event kicked off at 6pm in Rustic Stone’s private dining room, which is upstairs from the main restaurant for those who aren’t familiar. The room itself seats approximately 16 people and is sleek and stylish but also inviting. 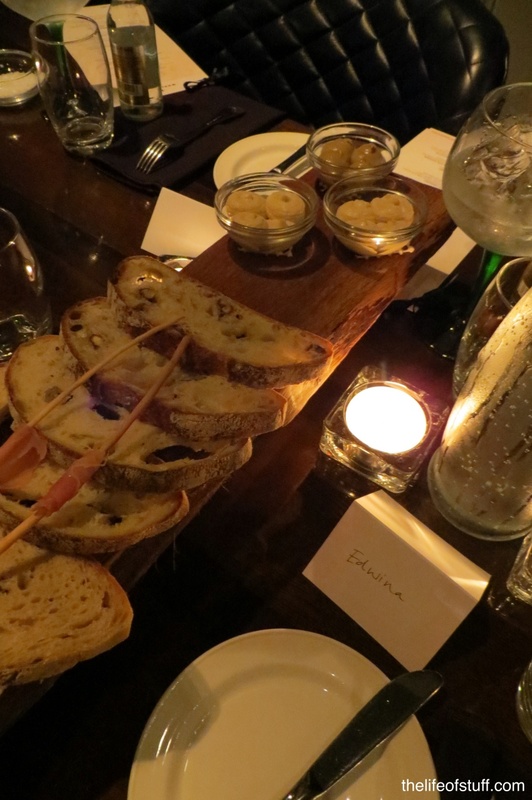 The tables were laid with a selection of bread and delicious dips, and seating designated. After a few introductions I realised I was dining with some of the biggest names in online and print media. I checked my place-name and it did indeed say Edwina. 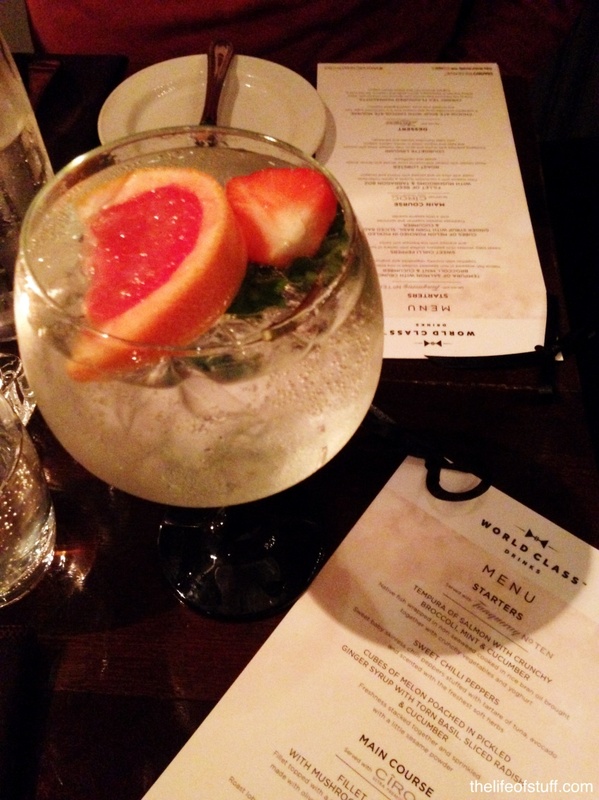 served with tonic and a selection of fresh fruit and herbs. 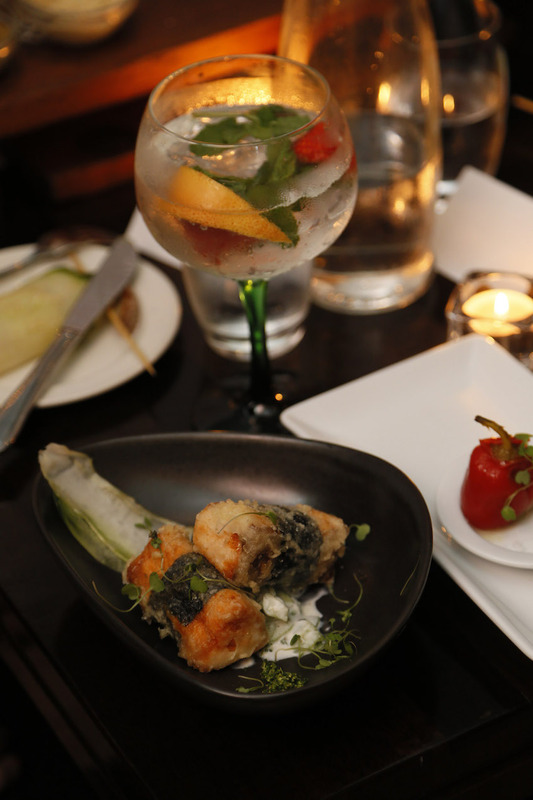 The Tanqueray Ten was the perfect drink to start the night on. It was fresh, clean and refreshing. I added blood orange, strawberries and mint to mine. A total recommendation, especially when you are unsure of what tickles your mood or what tickles your taste buds. When it came to the food, the Tempura of Salmon was absolutely delicious, the crunchiness of the tempura and the flavours of the salmon. I’d order this dish again in a heartbeat. The sweet chillies were also fantastic. They were stuffed with tuna and avocado, something I hadn’t tried before but look forward to tasting again. 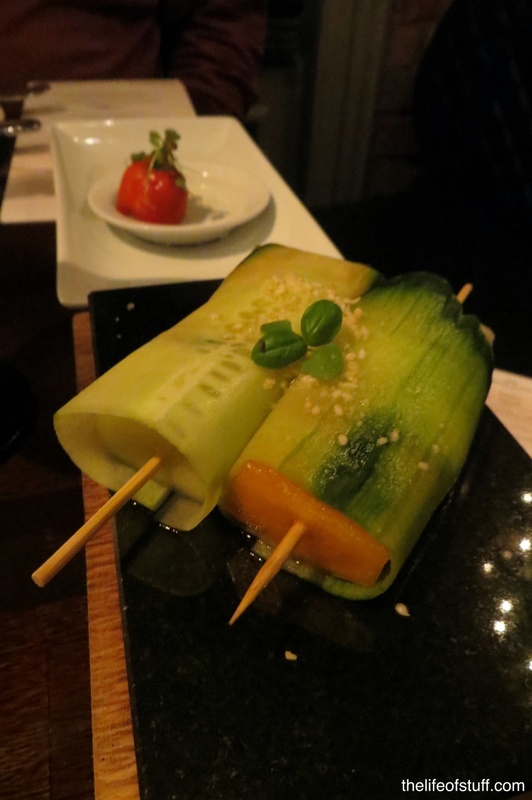 The cubes of melon were flavoured and fresh and complimented the starters as a whole. 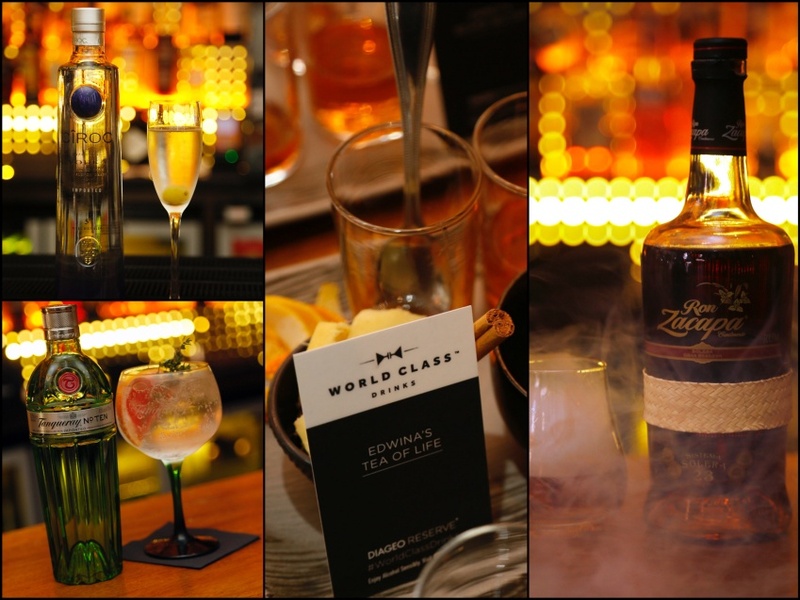 A faultless start to our World Class Cocktail Experience. This cocktail was actually created for the launch of New York Fashion Week (Ciroc was the official vodka for the event this year) and is called French ’15 – Ciroc Vodka is made from grapes in France. So the addition of prosecco along with a frozen grape was the perfect marriage of flavours and fizz. For the main course I was tempted by the Roast Lobster but opted for the Fillet of Beef with Mushrooms and Tarragon. 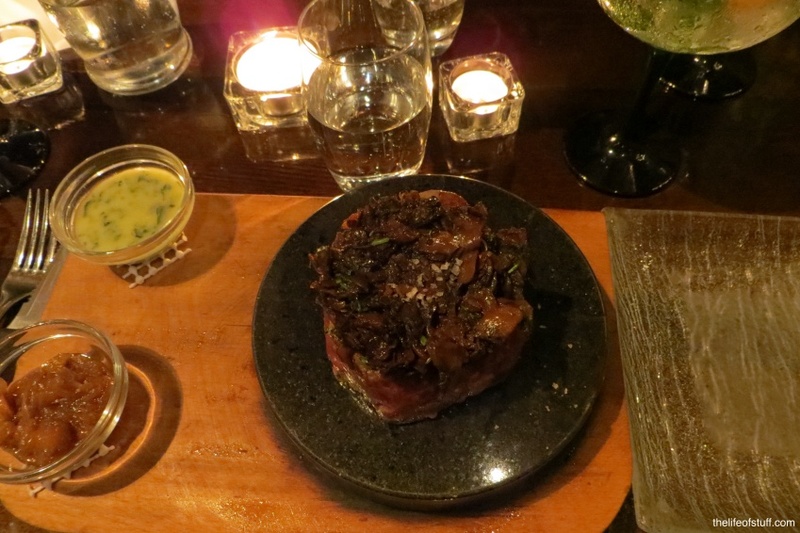 I wasn’t disappointed and enjoyed the steak on a hot stone experience as it had been some time since I had eaten steak this way. I love the way you can mix your tastes up a little, by cooking your steak to your liking, rare, medium rare or well done. My advice is to take the steak off the stone immediately and add pieces one at a time to cook to your liking. The side servings of potatoes and greens completed the dish. Personalised Cocktail – mine was called Tea of Life! 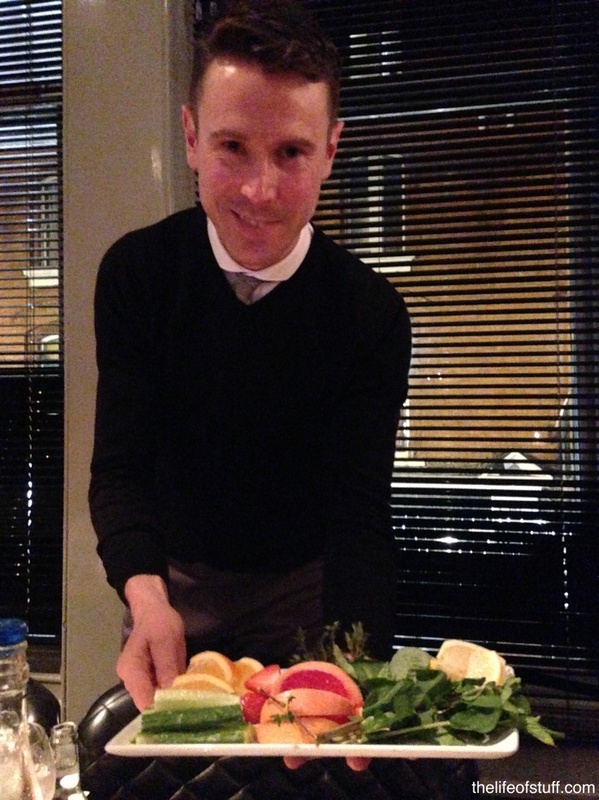 Dessert time was introduced to us by Reserve Brand Ambassadors; Niall Molloy, Peter O’Connor & George Roberts. They were on hand to both demonstrate to us and introduce us to our interactive cocktail experience. Each guest was given a small cocktail tray with the recipe and ingredients they needed to recreate the cocktail that was designed for them using their answers to the questions I mentioned earlier in the post. Based on my answers I received a tray full of surprises. 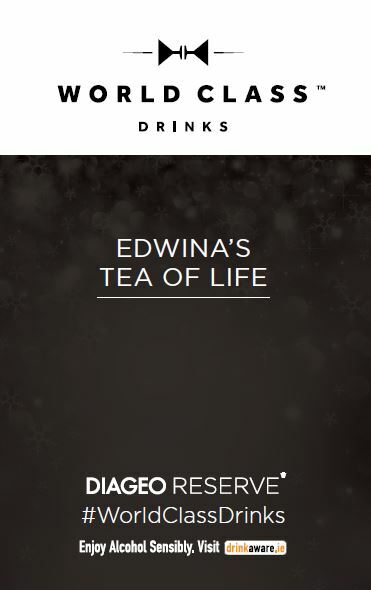 Edwina’s Tea of Life was full of life! 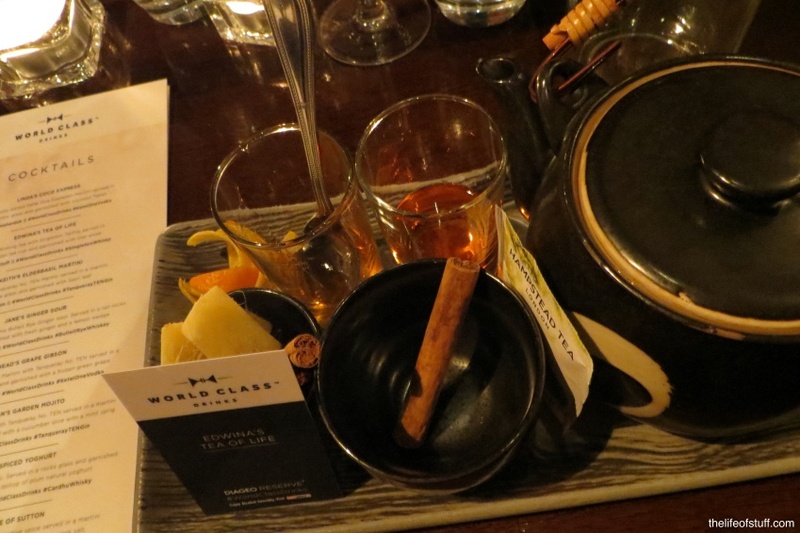 Described as ‘Life affirming Tea with Singleton Talifire in an Asian Tea Cup and garnished with Star Anise’ … It was so much fun mixing my cocktail and the aromas that came from it when complete was that of Christmas and what you imagine the perfect hot toddy on a winter’s day should smell and taste like. 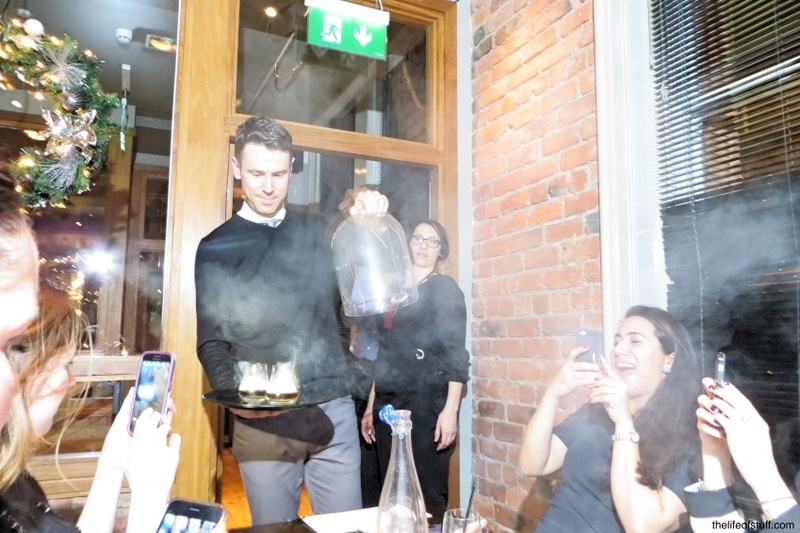 The Zacapa Rum revealed in a bell jar with smoke billowing from it was a show stopper. 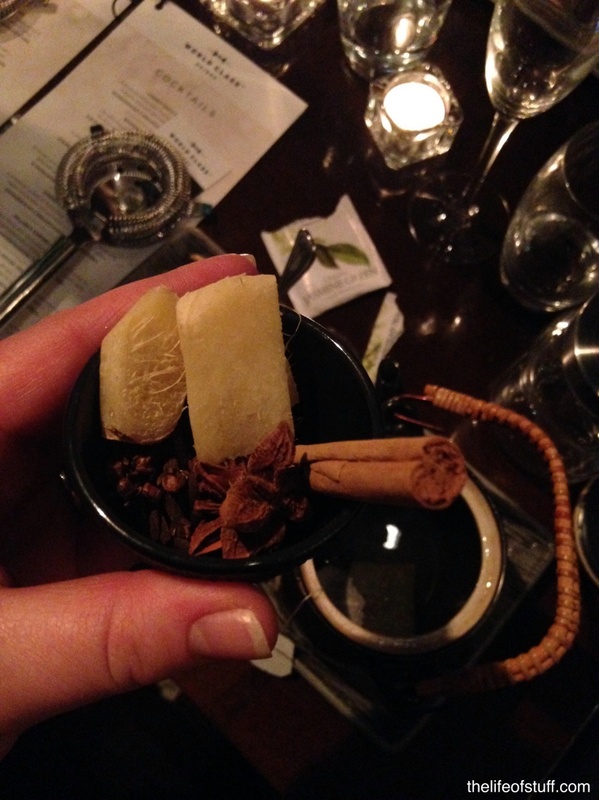 The flavoursome taste of the warm rum from Guatemala ended our Diageo Reserve experience on a high note. For the dessert food I chose the Chocolate Soup with Chocolate Mouse. It was ridiculous. Pure chocolate heaven and if you ever have the chance to try this dish, do it. Seriously. Upon leaving I was given a gorgeous gift of the main ingredient for my personal cocktail ‘Singleton Talifire’ and a World Class Cocktail Recipe Book which I will be referring to again on the blog, so keep an eye out for that. For now though I’d like to sign off with a very big thank you to Diageo Reserve for a brilliant night of World Class Cocktails – they were all delicious and you could taste the quality. The atmosphere was fun and relaxed, and the night was one to remember. My sincerest compliments to Chef Dylan McGrath and his brigade for a delicious dining experience. I look forward to returning to Rustic Stone but I don’t think I’ll be mixing my own cocktail when I do.